12 x 18 white construction paper. 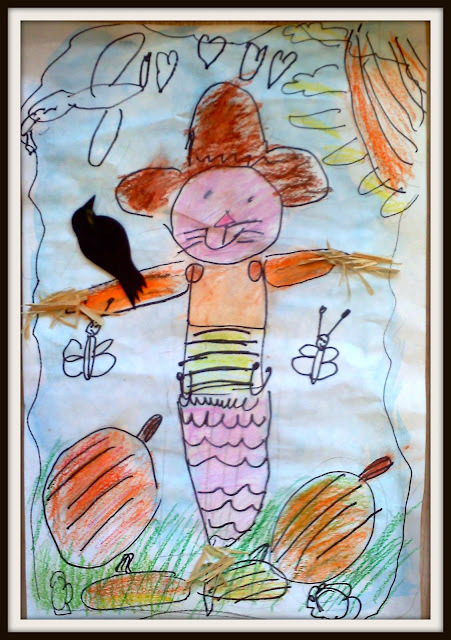 This was a great oil pastel resist project. 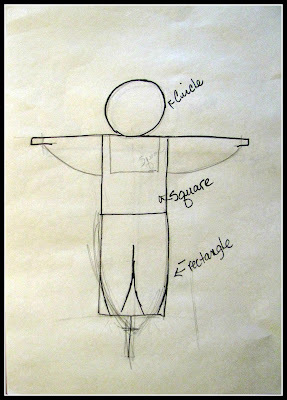 We started out with a drawing lesson. The kids sketched their scarecrow in pencil first. 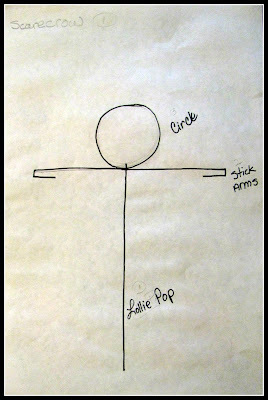 I started with a simple lollie pop shape. I continued with simple shapes to create the scarecrow. Once the project was broken down to easy steps, the kids could now add their own details. They did a wonderful job! Considering a few where skeptical at first. 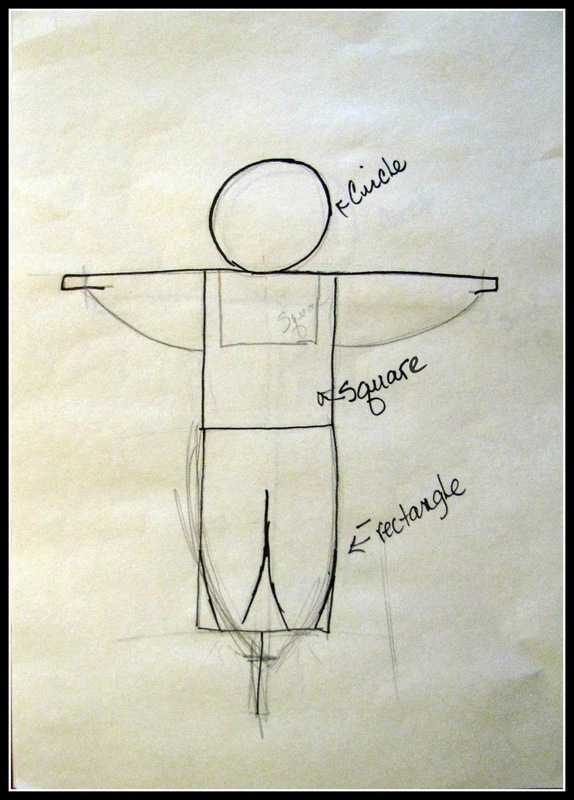 I remind them...with out practice you can't draw. 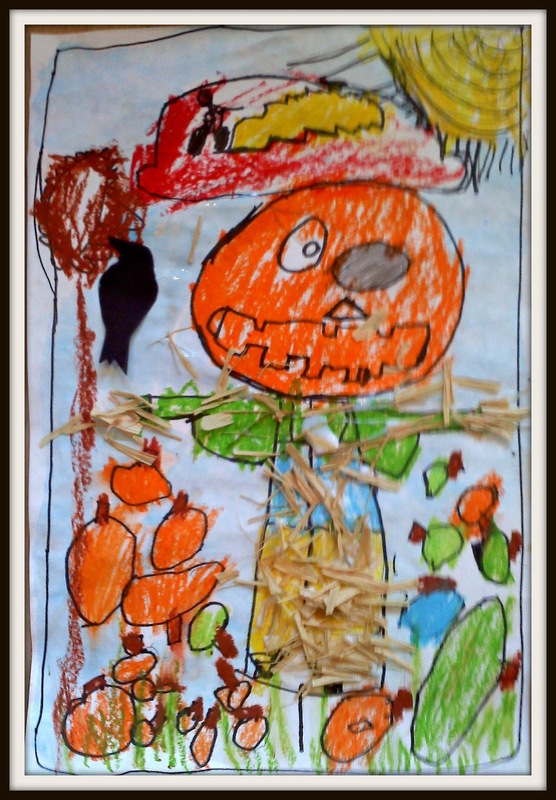 Here is a few of our kindergarten scarecrows. First drawn with pencil. Then traced with black permanent maker. Next the kids colored in with oil pastels. They then used a watercolor wash for the sky. Painting over the entire picture to watch the watercolor resist the oil pastels. 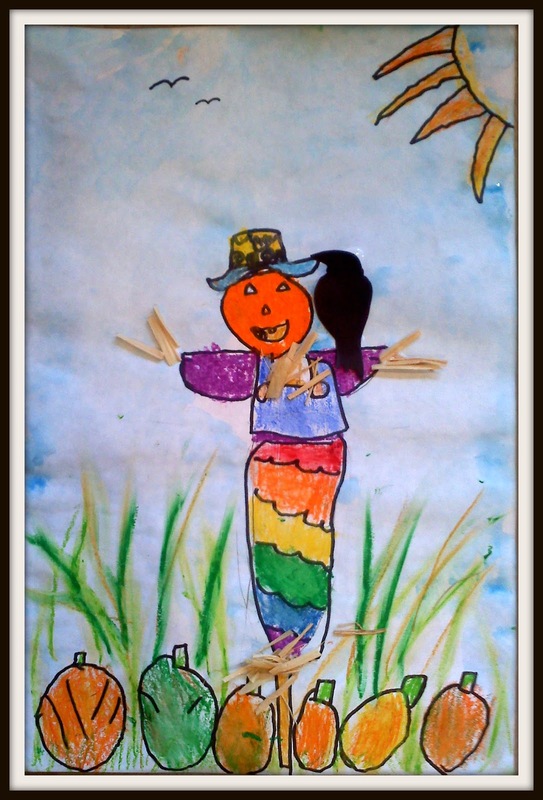 Then girls decided they wanted their scarecrow to be a girl. 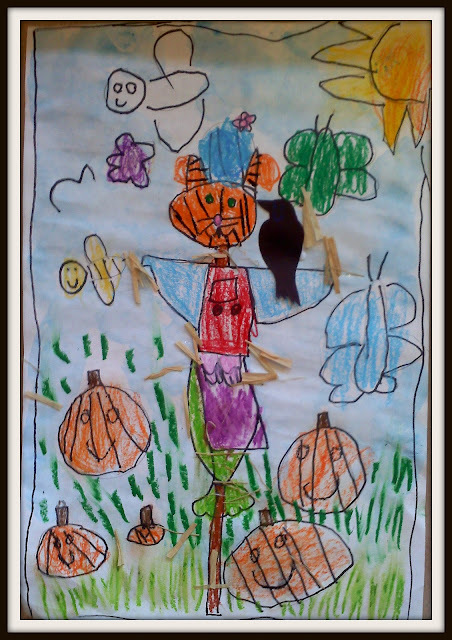 We talked about how the dress would be tied at the bottom to hold in the hay. 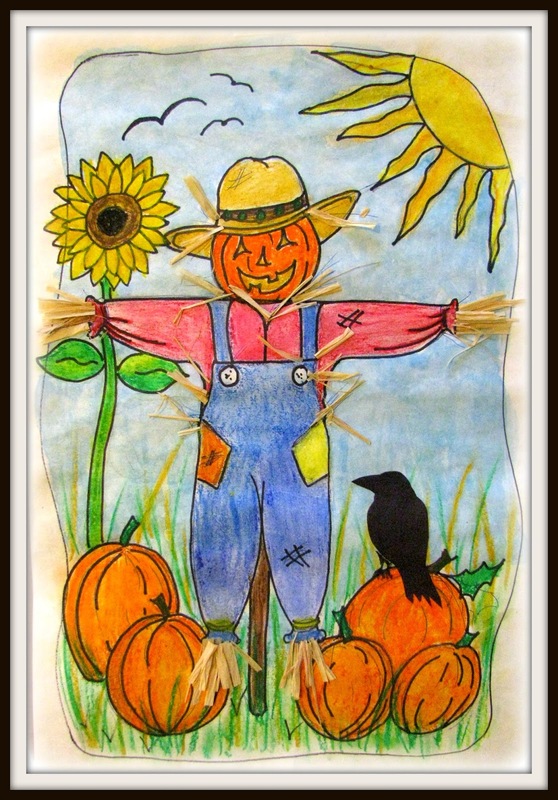 Most the scarecrows look like they made friends with the crows!